This is the bizarre moment a woman is walked down the street with a silver dog lead around her neck by a U.S tourist. 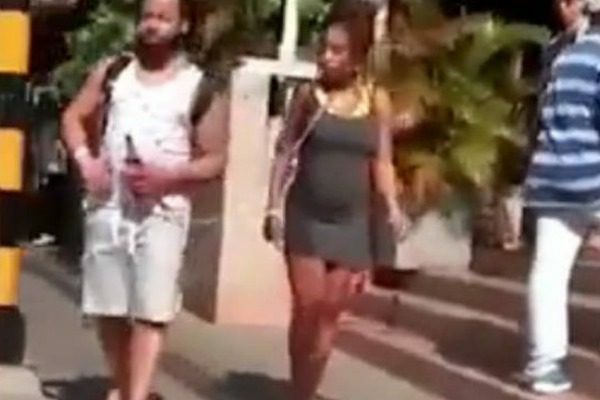 A motorist filmed the unusual sight in the north-western Colombian resort city of Cartagena, on the country’s Caribbean coast. In the footage shared on Facebook and seen by 27,000 people, a man in shorts is seen walking along the pavement while sipping a bottled beer.